1st Look around and find the things in your life that you really enjoy & be grateful for this! 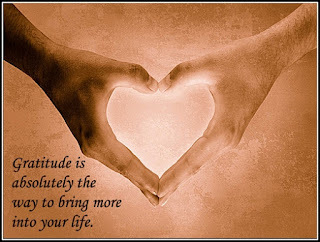 Practice an attitude of gratitude and thankfulness. To live in a state of gratitude and appreciation where you let what you enjoy fill your thoughts & surround you. It’s all about happiness and joy. Don’t force yourself to like something, find what you actually enjoy and focus on it all the time. 2nd Put yourself in the state of feeling what you want already exists. Visualize what it is that you want like it’s already happened. This completely shifts your energy. You’ll start to slowly see what you want begin to manifest. EFT and visualization completely shifts your energy. You start to see what you want showing up more and more! Just for today I’m going to be grateful for what I have. I’m going to be grateful for myself. I’m going to look for the beauty within me. I’m going to look for the beauty around me. I’m going to appreciate the amazing people in my life. I’m going to be positive and self-assured. Just for today I’m going to love myself. For today I am going to be calm and feel confident no matter what happens. It’s safe to do this. I am grateful for today. I am grateful for my amazing body. John Demartini is the “King of Gratitude,” that’s what I like to call him. He is a world-renown motivational speaker and owes much of his success to constant thankfulness. John encourages everyone to make lists of the things they’re grateful for. This doesn’t have to be a major list. When finding things to be grateful for you will need to look at your life and see the things you enjoy. Learning to live in a state of gratitude is when you let what you enjoy fill your thoughts and surround you. It’s all about being happy. Don’t force yourself to appreciate something, simply direct your focus to what you do like and truly appreciate. This will amplify the love in your heart and attract more of what you want into your life. It’s imperative that you put yourself in the state of feeling what you want already exists. Visualize the things you want, get to a state where you feel their presence. Act as if you already have it in your life. EFT and visualization will completely shift your energy, you’ll start to see what you want showing up more and more. For more info on EFT visit my page on Facebook and YouTube. If you enjoy it please like it!